Nojima Park (野島公園) is one of the park located in Yokohama. It is also in the island, and park has small hill which is 57m high. There is observation stand at the top of the hill which you can see great view of Mt. Fuji and Tokyo Bay area. There is BBQ spot, and camping spot. 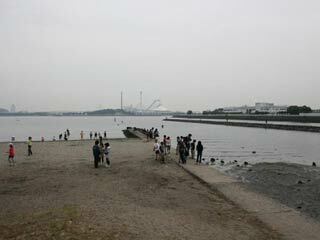 Nojima park has also beach which has many fishes and shells you can capture. There is historical relics from Jomon period which is about 2000 years ago.